We’ve written quite a bit about the definition of Kaizen and you should take a look at these posts if you are totally new to the concept. Today, I thought it would be an interesting challenge to reflect on how I would answer the question “What is Kaizen?” if my response could only be one word. “Improvement” sprang to mind, but improvement is what Kaizen achieves, not really what it is. After thinking about the practice and tools of Kaizen, one word began to emerge. Mindfulness. Kaizen is mindfulness. Wikipedia describes mindfulness as, “the intentional, accepting, and non-judgmental focus of one's attention on the emotions, thoughts and sensations occurring in the present moment.” Mindfulness is an essential element of Buddhist practice. In the West, there are a number of therapeutic applications based on mindfulness and mindfulness meditation for helping people who are experiencing a variety of psychological conditions. Clinical studies have documented its mental and physical health benefits. “The state of confronting an objective field.” Think about how much meaning that has for the purpose of continuous improvement. Ruth A. Baer PhD, an academic who studies mindfulness, once described it as, “Paying attention in a particular way: on purpose, in the present moment, and non-judgmentally.” One could describe the practice of Kaizen in exactly the same way. Kaizen is about seeking improvement through the act of examining the present state with intention and structure, without judgment. Take Gemba Walks, for example. When a Kaizen practitioner conducts a Gemba Walk, he or she goes to the place where work is being performed to observe the real life execution of processes. The leader conducting the walk does not attempt to make changes or impact the work at all. Rather, they stay in the moment to observe the current state, only to reflect on potential improvements at a later time. The 5S methodology (sort, shine, set in order, standardize, and sustain) is about being mindful of the spaces in which work is performed. The method requires that we don't ignore any flaw in the work area or any barriers to effective productivity. Kaizen asks for mindfulness from every member of the organization because each employee is responsible for identifying opportunities for improvement. This can only be achieved when people are trained to notice and report problems rather than looking the other way or just dealing with waste because we've gotten used to it. Let’s face it, looking the other way is easy. Seeing right past the present is common. We’re busy and focused on what we have to do next. Kaizen demands that we stop, take a look around and confront the weaknesses we find. Kaizen says if you want to improve the future you have to focus on the now. 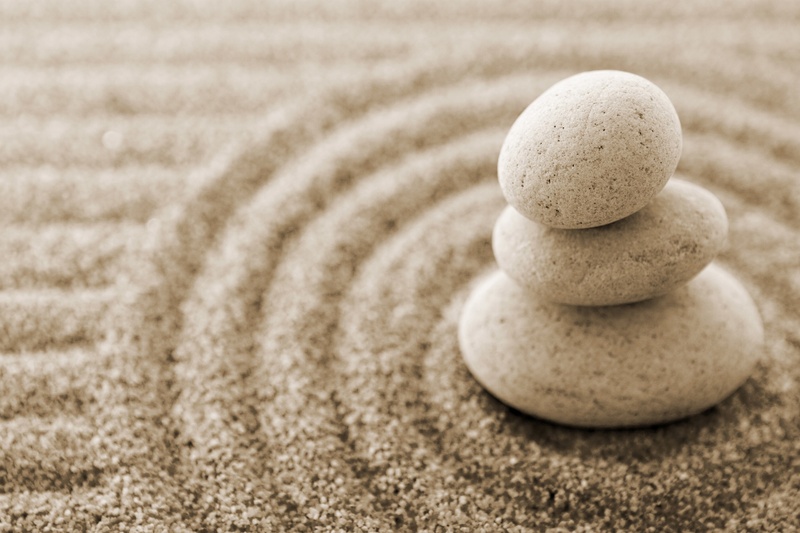 Perhaps mindfulness isn’t a perfect answer to “What is Kaizen?,” but we think it gets pretty close to its essence. How about you? Does the concept of mindfulness resonate? We’d love to hear how you would define Kaizen in one word.